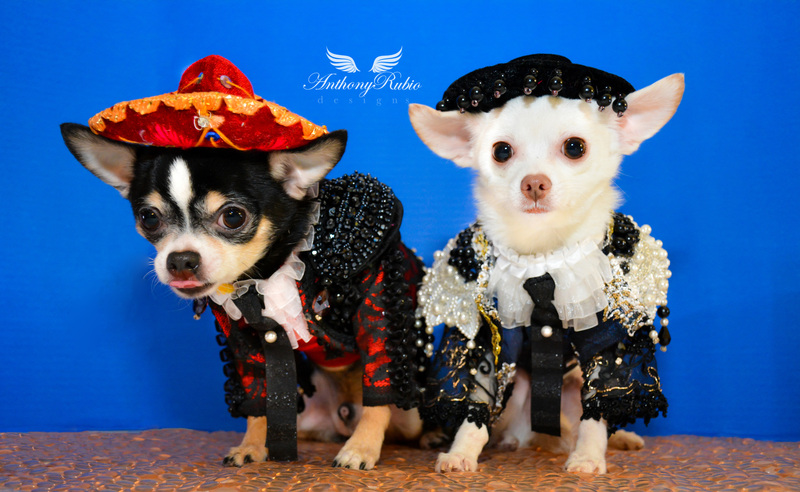 Pet Couturier Anthony Rubio along with his two Chihuahuas Bogie and Kimba would like to wish everyone a Happy Cinco De Mayo. Fiesta Time! 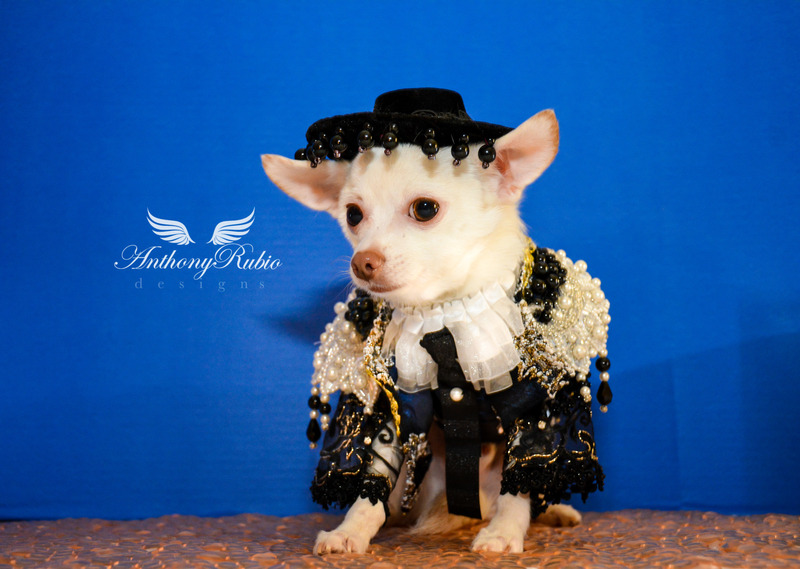 Chihuahua Kimba in Anthony Rubio Designs for Cinco De Mayo celebration.